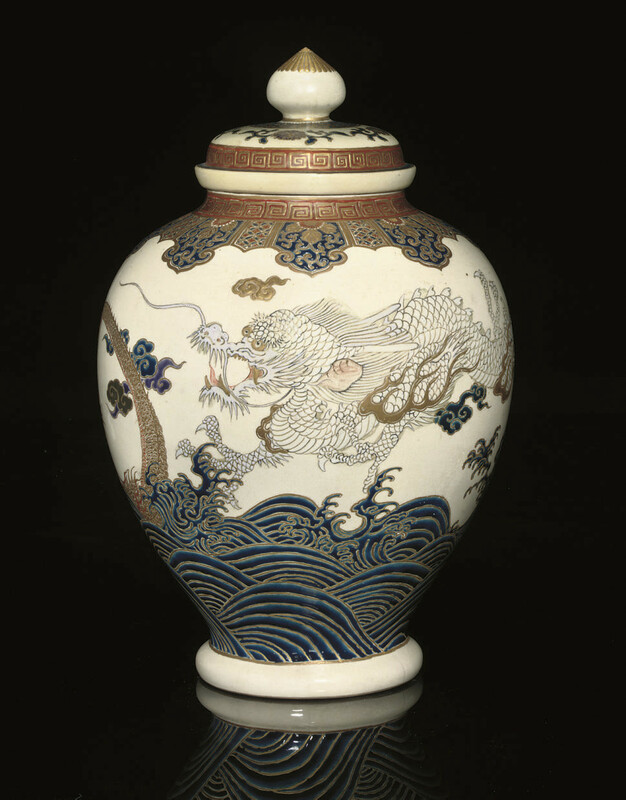 decorated in blue, red, purple, white and black enamels and gilt with a continuous scene of a white and a golden dragon chasing one another on top of turbulent waves, beneath a band of lappets to the shoulder below another of keyfret design, the cover with sprays of leafy kiku with similar bands, a kiku flowerhead to the finial, signed Satsuma Tanshu ga -- 14½in. (37cm.) high.